To start working with backup client for MS SQL Server, install and launch it, then click on "MS SQL Server" button in the top bar. 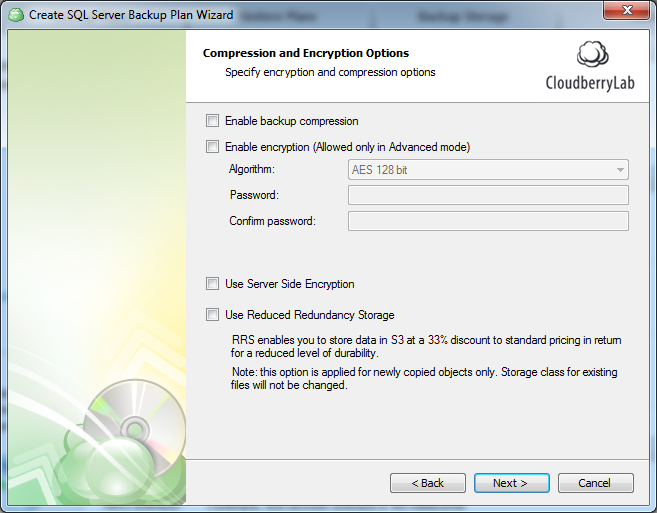 In the backup wizard you will need to select SQL Server instance and the authentication method. You can choose either SQL Server or Windows authentication. After selection of preferable authentication method you'll be asked to enter your username and a password. 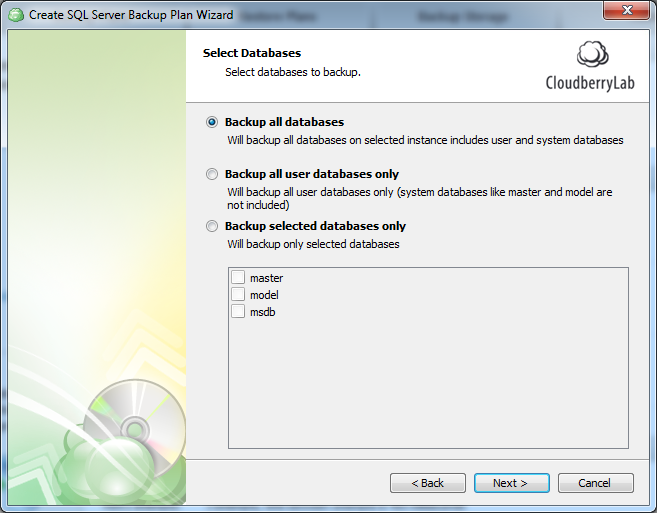 On the next step user can choose proper databases to backup. Option list allows you to choose whether you need to backup all your databases, only user databases or to select particular database manually. Next step is a compression and encryption options setup. If you use MS SQL Server 2008 or higher, compression will be performed by SQL Server. If not, compression will be performed by the backup software. Then you'll have to specify schedule options. 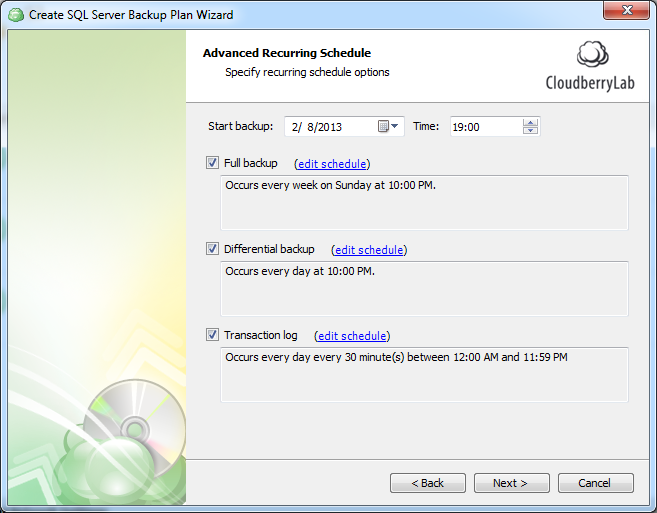 You can run a backup plan manually or can setup the application to backup your files automatically. 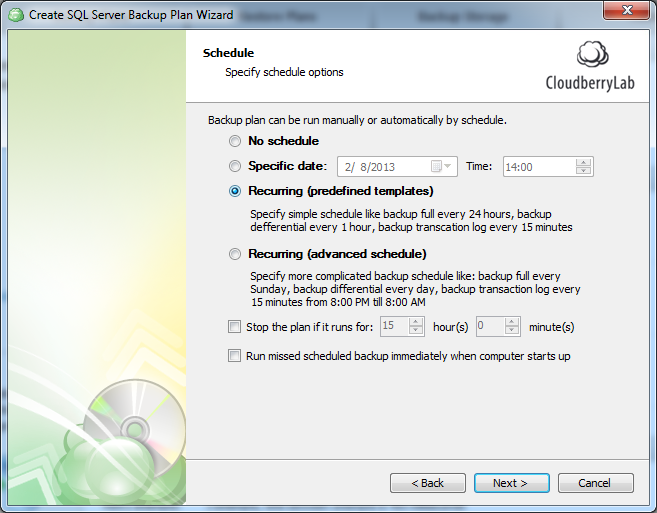 Program can be set on automatic backup at a certain time on a schedule or at user-specified intervals. User can choose whether to use predefined templates or configure advanced schedule. On the next step you'll need to specify the start date and select schedule template. If you've chosen an advanced schedule mode, you'll be asked to set options for full backup, differential backup and transaction log backup. 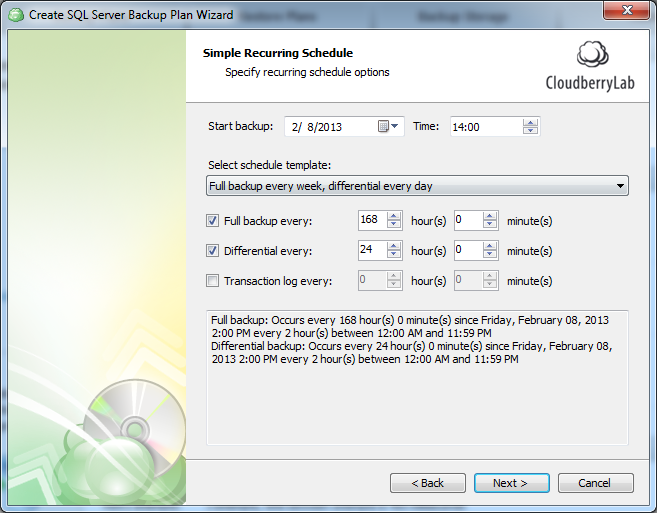 Here you can set date, time and frequency for each backup type. Also on this step you'll have to define the start date to run your first backup.